Sooo... my fiance... he doesn't walk into bookstores with me. You, see, I do this thing where when I walk in, I have to take a giant breath in... because the "bookstore smell" is one of the best ever. I don't know, I guess this embarrasses him? Like, get over it. 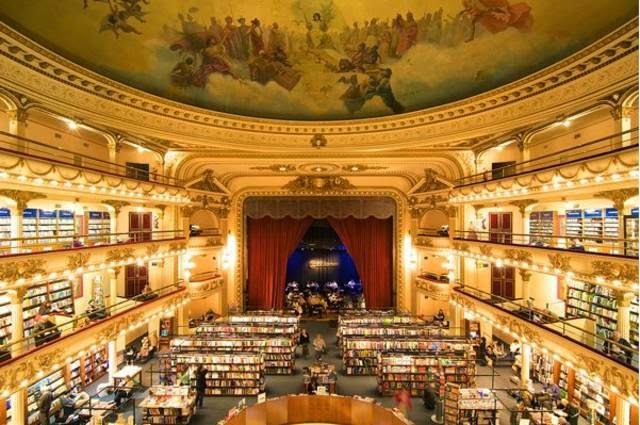 Anyway, if I ever get the opportunity to travel the world I want to eat in delicious restaurants and visit these bookstores. 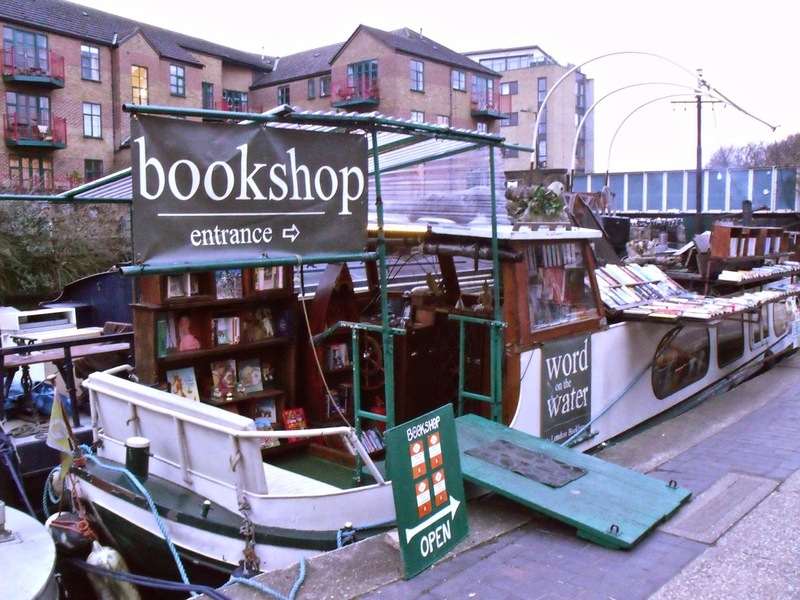 After all, I am very sheltered when it comes to bookshops. My town has two Books-A-Million and one used shop. That's it. The used store is great for romances but the rest of the stock is pretty limited. We used to have a Barnes and Noble and I'm not lying when I said I cried in the middle of an aisle when I found out they were closing. 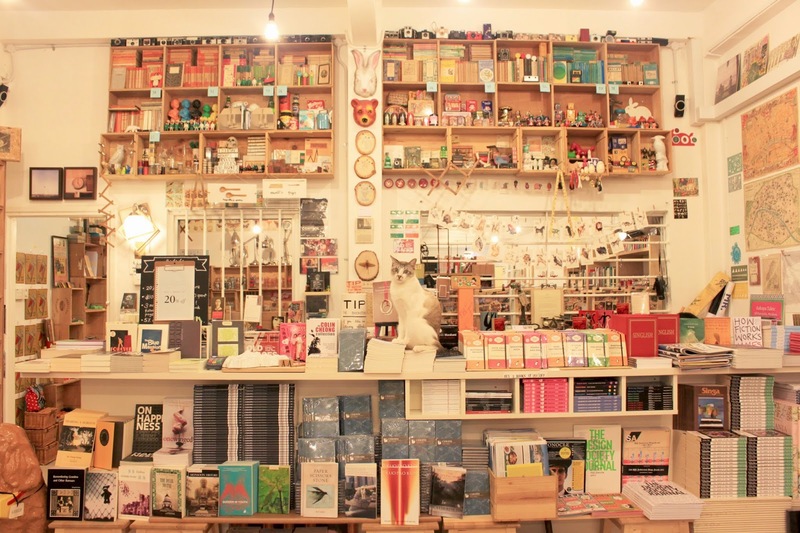 It's a dream to get to visit and buy from these wonderful looking places. 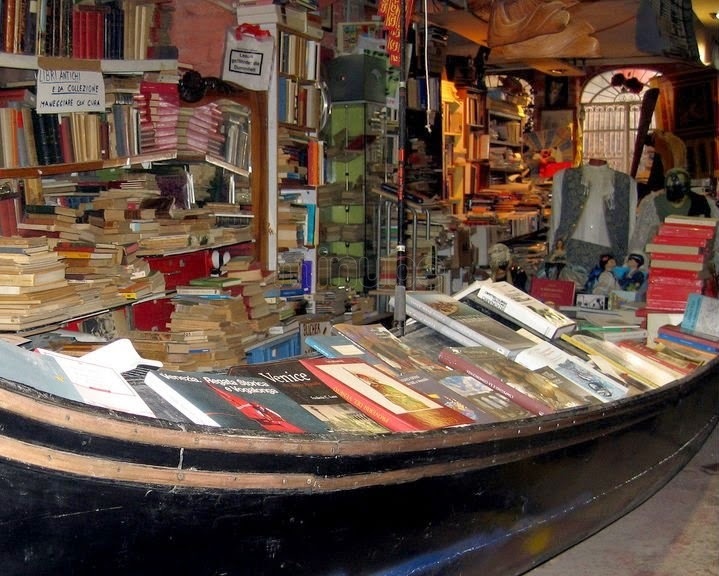 Books in gondolas and cat-saving owner. Need I say more? You can sit in theater boxes to read your books! Isn't it pretty? I mean, really? Look! Look at it! And omg, that cat! Yes, please! Okay, seriously, how cool is this? 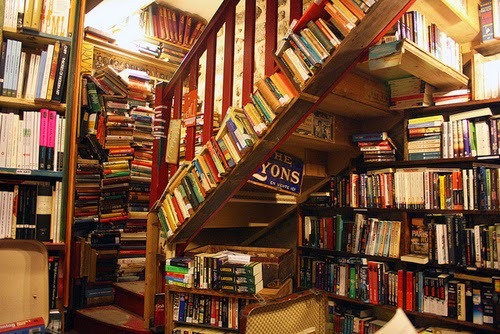 The bookstore I'd love to visit the most! But France is, in general, the top country I dream of visiting. It just looks so cozy!